How do you cope when all of a sudden your life completely changes? From a quiet schoolboy to a worldwide famous YouTube star, this is the reality for Dom Lawrence, DomVlogs. He spoke to classmates Sophie Smith and Evie Cowling. 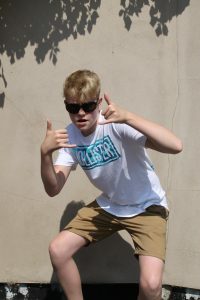 Young vlogger Dom Lawrence has gone from an unknown schoolboy to a national name due to his pranks, challenges and personal stories filmed for the internet. Dom has been filming since 2010 and, so far, his channel has attracted 322,000 loyal subscribers. Dom is a 15-year-old boy who lives in Aylsham and goes to Aylsham High School as well as being a YouTuber. He was inspired by his friends and people he was watching at the time and his skills and content have become more advanced over the years, gaining him more and more followers. Dom describes his channel in three words – fun, creative and exciting – and describes himself as fun, adventurous and creative. That’s all present in his videos. Dom worries that his channel affects his school life, with late-night editing and attending YouTube events when he should, perhaps, be doing homework or focusing on school. But sometimes his attention on school and exams isn’t his main priority when his channel is involved. Dom admits that school hasn’t been the easiest since he started his channel and, despite him receiving a lot of nasty backlash and negative comments, he says he “wouldn’t change it for the world”. He has had plenty of support, especially from his family who think what he is doing is “incredible”. With his most successful video reaching more than six million views, his work is very popular and this is just the start. Dom has gone on to have many partnerships and collaborations, and has attended the most famous YouTube event ever this year, pushing him and his career further into the spotlight. “The genie from the movie Aladdin released in 1992,” he said: “Because I could finally be free.” This is how Dom feels about his channel being open to the world and having opportunities for him to express himself without being confined in a bottle. This entry was posted in Aylsham, Home Page and tagged Aylsham, Aylsham high school, DomVlogs, Vlog, YouTube on July 19, 2018 by Gay Webster. Aylsham Market Place will be packed with family fun and games this Sunday morning, June 24. The Hare-Raising Sunday action is centred on Humphry Hare, the town’s very-own GoGoHare, who will be officially unveiled at 9am outside Barnwell’s newsagent, where the town Christmas tree usually stands. Humphry’s unveiling will be the cue for the fun to begin, lasting until midday. It includes a giant skittle alley, children’s crafts and games, a teddy tombola, card game, Aylsham Gym activities, face painting and a Hare and Snail race where everyone can place small change on the line beside either an ornamental hare or snail who will then race along a marked course. The Royal British Legion (RBL) will also be running a pop-up Poppy Shop selling RBL merchandise. At 9.30am Aylsham High School’s drama group will sing, followed by Bure Valley School’s choir at 10am and the Broadland School of Dance will perform two dances at about 10.15am. 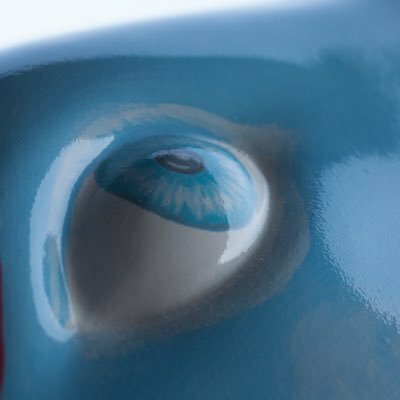 There will be Country Market tasters to sample and the chance to take part in Aylsham’s Snail Trail – finding a coloured, laminated collection of paper snails dotted around businesses in the town. Each snail bears a letter of the alphabet and all together they spell out a phrase. All the activities are outdoors while bacon rolls and a tuck shop will be available in the town hall. Painted by artist Lisa Kirkham, Humphry is one of 18 decorated models dotted around the county, as well as 50 in Norwich, plus 164 Norfolk leverets, forming part of this summer’s GoGoHares trail in aid of the charity Break, which supports vulnerable children and young people. Hare-Raising Sunday has been co-ordinated by Aylsham Town Council and involves 17 different local organisations. They will be raising money for their own causes and making a donation to Break. The entire Norfolk GoGoHares trail also launches on Sunday at 9am and the hares, including Humphry, will be in place until September 8. County-wide trail maps will be available in the Market Place. A tantalising glimpse of Humphry’s eye – the only part of him that’s been revealed so far! This entry was posted in Aylsham, Home Page and tagged Aylsham high school, Aylsham Market Place, Aylsham Town Council, Break charity, Broadland School of Dance, Bure Valley School, GoGoHares, Humphry Hare on June 22, 2018 by Gay Webster. Aylsham High student Victoria Lloyd is forgoing presents for her 16th birthday to help a charity close to her heart. She asked friends and family to donate to Pancreatic Cancer Research in memory of her grandad Richard Lloyd, who recently died. 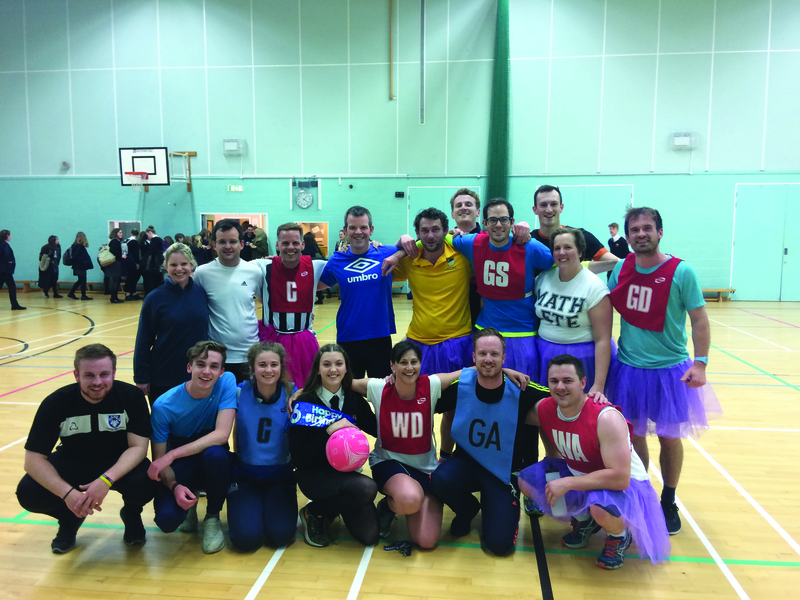 On her birthday, Victoria, from Sloley, organised a charity netball game against the teachers. “I’m proud to say that we got one person from nearly every department which was amazing to see. The game was extremely competitive which made it great fun for the students who watched but even though there were some losers not a single teacher left without a smile on their face. As well as the money from the match, she has collected £346 online through Just Giving. She said: “I can honestly say that this has been the best birthday ever. There is no feeling quite like holding a microphone and speaking in front of all these students that have come to support me and my cause. I had such a close bond with my grandad and he always believed in me no matter what. I could never do as much for him as he did for me but this is a start. Anyone who would like to help Victoria can visit her page on Just Giving. 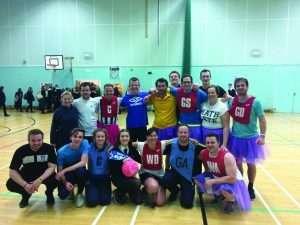 This entry was posted in Aylsham, Home Page, North Walsham and tagged Aylsham high school, Charity, netball on May 3, 2018 by Gay Webster. 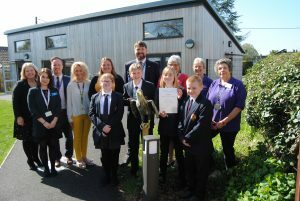 The success of Aylsham High’s nurture group has been recognised for its work with a national quality award. The team behind the Eagles at the school was presented with Marjorie Boxall Quality Mark Award by Helen Stollery, head of quality and standards for the organisation. She visited the school in December to see how the nurture group worked with students to help build confidence among the students. Majorie Boxall was and educational psychologist who started nurture groups in the later 1960s. She saw children starting school without the inner resources to cope and how they became difficult, often ben sent to “special” schools. At the end of her report, Helen stated there was a “warm and genuine affection” within the group which “encouraged the relationship between staff and children to flourish”. There have been 140 students through the Eagles since it was set up nine years ago. And 40 schools from all over the country have been to see the group in action, with the aim to introduce something similar in their own. He praised his team, which includes TA Sue Tartt and horticultural volunteers Wendy Sadler and Shelley Hudson. The Eagles can be summed up, however, with comments from the students, who have said: “They have the magic touch”, “teachers always listen” and that the group is like “heaven on earth”. This entry was posted in Aylsham, Home Page and tagged Aylsham high school, majorie Boxall, nurture on April 19, 2018 by Gay Webster. Aylsham High School played host the future Alan Sugars of the world as they took on a series of challenges with one aim, to win over as many investors as possible. The business BOOST (Building On Our Skills Together) day on July 12 saw each team being given a different trademark brand and an unexpected target audience. There was Lush for men, Primark for the rich and PlayStation for girls. 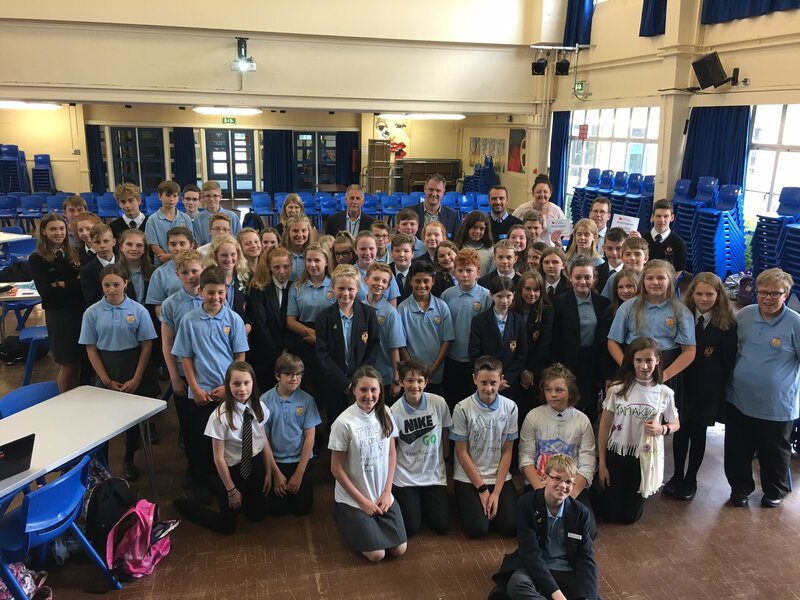 The event was organised by AHS Young Chamber and involved a collection of business enthusiasts, all students at Aylsham High School. 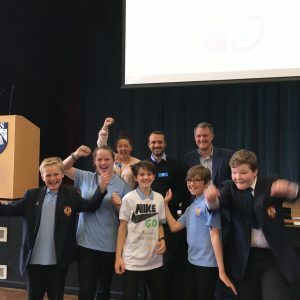 The day is held annually for Year 7 students who have shown excellent participation and interest in business and enterprise, to work together and engage in a marketing task supported by older students, with people from local businesses acting as mentors. Each team had to create a campaign using different media platforms to attract their target audience, and then pitch their ideas to the investors. There was a 15-minute window to address their pitches to the investors, all businessmen/women from the local community. Chaos reigned as all the teams tried to get the investors’ attention. Standing in the middle of it all, the students came up with a variety of ideas to attract the investors and their target audiences; there were teams who made branded T-shirts, there were loads of people holding up posters for their campaign and one team created their own app. They were all desperately trying to get the investors to listen to their pitch and give them the coveted investors’ cards they need to win. At the end of the day the team with the most investment cards would win. The winners were the Baby Dragons with their budget range of Nike sportswear. One investor, Sabina Rospedzihowska, said it was great to be able “to mentor the kids and watch their ideas grow”. And the students certainly had lots of ideas and things to say when we went round to speak to them. On the PlayStation team Sophie Baker said how she was “experiencing what it’s like to work with others”. They had to pitch PlayStation to girls and had come up with an idea called PlayStation Light that involved apps on phones, educational gains, parental conscriptions and many other things. This team had also designed two posters to go with their campaign. But Emma Lucy Auber, head of business studies at the school said the day was also about having fun and “bringing business to life”. The students had to tackle problems which occurred within their campaigns, and how solving one problems often led to another making it hard to pitch the perfect campaign. The team of older students, though, were on hand to encourage the younger students and help them to develop their ideas. This entry was posted in Aylsham, Home Page and tagged Aylsham, Aylsham high school, BOOST, business, education, students, work on July 13, 2017 by Gay Webster. 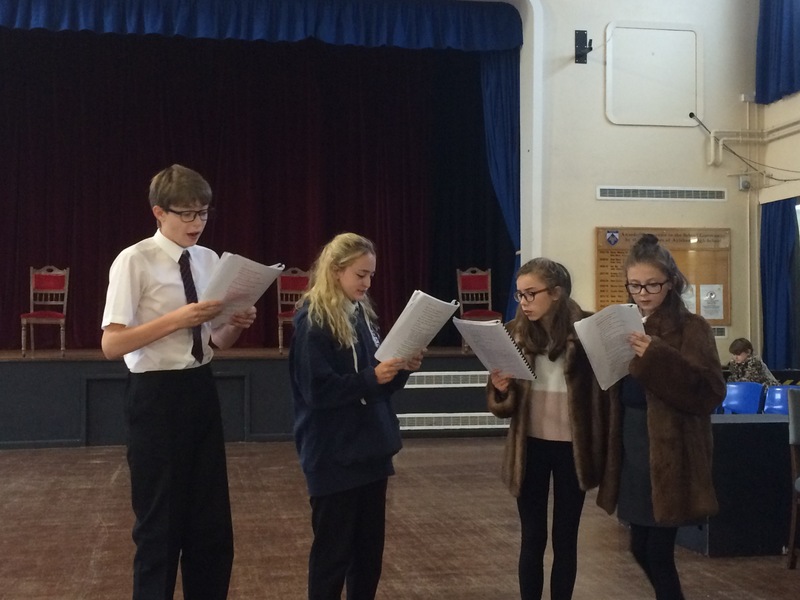 Aylsham High School is being turned into Narnia in a few weeks’ time. The floor of the main hall will soon be turned decidedly frosty, with Mr Tumnus’ house in one corner, the lamppost through the back of the wardrobe in another, Mr and Mrs Beaver’s lodge and even the White Witch’s icy castle with inhabitants of Narnia who have been turned to stone. And for £6 a ticket, members of the public can be transported to Narnia too, to experience Aylsham High School’s production of The Lion, The Witch and The Wardrobe. As one of the drama staff, Tanya Wiseman said, the audience will feel as if they too have stepped through the back of the wardrobe and entered Narnia. “The students will be enacting the play on the floor of our main hall rather than the stage, which makes this a very special and atmospheric production indeed. 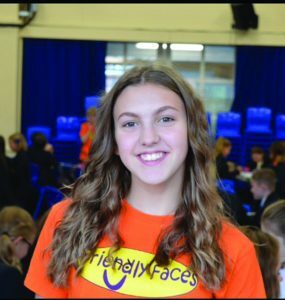 Our aim is to make everyone feel part of the action, as if they’re there in Narnia watching the Pevensey children and Aslan take on the forces of winter,” she said. There will be 30 students, playing the famous characters … from Aslan to the statues who come to life when the White Witch’s cold-hearted grip on Narnia is broken forever. Our picture shows Edmund (Saul Burgess) and Peter (Ally Mitchell) practising their swordsmanship before the great battle. Jess Curtis is Susan and Purdy Harlow is Lucy. Ben Sayers is Aslan, dressed in a gold waistcoat and bow tie, head girl Olivia Hill is the White Witch and Dominic Lawrence is Mr Tumnus, the fawn. Mr and Mrs Beaver are Thomas Curtis and Bobbi Wilson. The Lion, The Witch and The Wardrobe is being performed at Aylsham High School at 7.30pm on Friday 2nd December and at 2.30 and 7.30 on Saturday 3rd December. Tickets for the spring musical Guys and Dolls will also be going on sale then. Tickets are £6 and available from the school’s box office – boxoffice@aylshamhigh.norfolk.sch.uk or on the door. This entry was posted in Aylsham, Home Page and tagged Aylsham high school, christmas, family, Narnia, theatre on November 21, 2016 by Gay Webster. 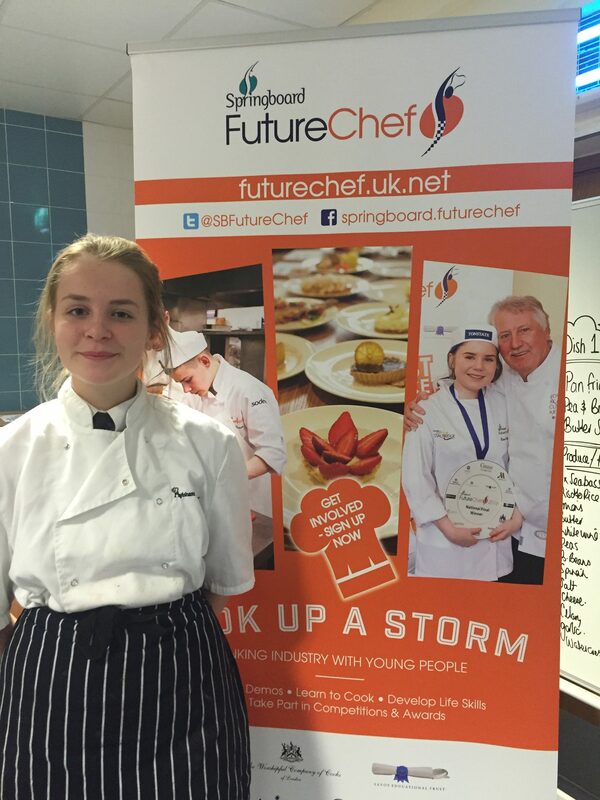 Aylsham High pupil Scarlett Addison cooked up a storm to reach Springboard’s FutureChef Regional Final. On Friday at City College Norwic, four young, aspiring chefs competed in FutureChef 2017. FutureChef directly relates to the national curriculum and gives young people a life skill. It aims to tackle the severe skills shortage facing hospitality by inspiring 12-16 year olds to develop their cooking skills and understanding of nutrition. Springboard’s FutureChef features a four stage national competition, annually involving more than 8,000 participants. It also includes classroom resources, chef demonstrations and skills challenges, and forms a link between schools and hospitality employers. 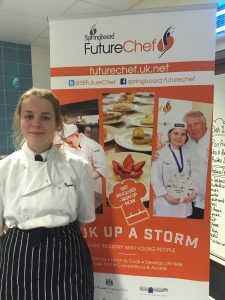 Scarlett, 16, went through to reach the East of England Regional Final of Springboard’s FutureChef competition with her menu of duck and chips followed by “floating islands”. The competition will culminate on March 27, with the National Final taking place at Westminster Kingsway College in London. This entry was posted in Aylsham, Home Page and tagged Aylsham high school, catering, chef, competititon, food, young people on November 14, 2016 by Gay Webster.